Empire Access Archives · Stop the Cap! A Prattsburgh, N.Y. family-owned company has picked up where Verizon left off and is busily wiring up small communities across western New York and the Southern Tier with fiber to the home service, giving both Verizon and Time Warner Cable some competitive headaches. Empire Access is concentrating its service in areas where Verizon FiOS will never go and Time Warner Cable maxes out at 50/5Mbps. The company recently launched service in downtown Batavia in Genesee County and will be launching serving in Big Flats later this year. 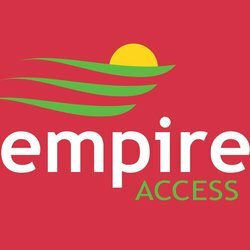 Empire promises no data caps or usage-based billing and offers 100/20Mbps at introductory prices ranging from between $45-65/mo. Gigabit broadband speed is also available. Where it has franchise agreements with local communities, Empire also offers cable television packages ranging from $31.45-73.40, with up to 130 channels. The packages are not as comprehensive as those from Time Warner Cable, but customers may not mind losing a dozen or two niche cable channels to save up to $30 a month off what Time Warner charges. Nationwide home phone service is also an option. 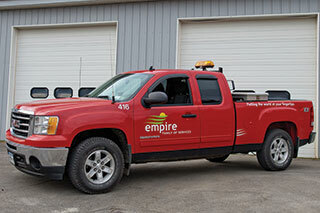 Empire relies heavily on two public/non-profit fiber backbone networks to deliver service. The Southern Tier Network comprises a 235-mile long fiber backbone that runs through Steuben, Chemung and Schuyler counties. Further north, Axcess Ontario provides backbone connectivity across its 200+ mile fiber ring around Ontario County. With the help of public and non-profit broadband infrastructure, residents in small communities across a region extending from Sayre, Pa., north to Batavia, N.Y., will have another choice besides Verizon or Frontier DSL, Comcast or Time Warner Cable. Residents in some communities, like Hammondsport and Bath — south of Keuka Lake, love the fact they have a better choice than Time Warner Cable. Empire has reportedly signed up 70 percent of area businesses and has more than a 20% residential market share in both villages after a year doing business in the Finger Lakes communities. Most western New York villages are already compact enough to attract the attention of cable companies, predominately Time Warner Cable, which has an effective broadband monopoly. Verizon and Frontier offer limited slowband DSL, but Verizon has stopped expanding the reach of its broadband service and will likely never bring FiOS fiber to the home service to any western N.Y. community outside of a handful of suburbs near Buffalo. The arrival of Empire reminds some of the days when the first cable company arrived to wire their village. Word of mouth is often enough to attract new customers, but a handful of local sales agents are also on hand to handle customer signups. From there, one of the company’s 80+ employees in New York handle everything else. “Bye, bye Time Warner Cable,” Cummings tells Stop the Cap!. Time Warner has treated most of western New York about as well as its service areas in Ohio, often criticized for not keeping up with the times. With fiber overbuilders Empire Access in the Finger Lakes region and Southern Tier and Greenlight Networks in Rochester, the fastest Internet options are not coming from the local phone and cable company anymore. Communities on Empire’s radar for future expansion include Urbana, Dansville, Wayland and Cohocton. Further out, there is some consideration of larger cities like Corning and Elmira, as well as other towns in far northern Pennsylvania. With Empire’s expansion into Naples, the company also has many options in affluent and growing communities in Ontario County, south of Rochester.